Singer and composer Aline Muniz combines simplicity and quality in her new song: "THE SIMPLE SIDE". The songs daring and highly sophisticated arrangement combines blended vocal harmonies with guitar to recall classic Bossa Nova beats with and indie folk twist. The song, beautifully performed by Aline Muniz, is a real ODE to New York City, where the singer lives. The Simple Side. Simply adorable! “Nelson Motta, one of the greatest Brazilian critics, said that Aline Muniz represents style and talent." In 2017, the singer settled down in the capital of the world, New York. Since then, she has emerged as the Brazilian singer who most plays on the stages, clubs and events of the Big Apple presenting the best of Brazilian pop music to the most demanding and competitive markets of the entertainment world. In addition to music, Aline Muniz has just released her You Tube channel: Music York City, in which she unveils the disruptive musical scene in New York where she explores in full of charm, the best concert venues, bands and trends of alternative musical entertainment in one of the most important cities in the world. The newly released "The Simple Side" is the first single debuted and sang entirely in English. Aline lavishes her talent in the interpretation of the song that promises to be a new success in the international musical scene. Just take a look at the hundreds of thousands of views that the clip already has on Youtube. 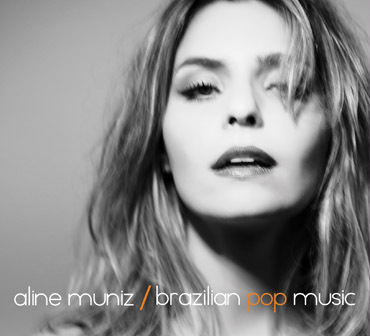 Captivating singer/songwriter ALINE MUNIZ Is the new international face and sound of Brazilian Pop Music! Global music fans are now discovering Brazilian singer/songwriter ALINE MUNIZ, an exciting new talent emerging from Brazil’s modern music scene. Aline’s sultry vocal style and sophisticated pop compositions have brought her a huge fan base nationally where her albums have been extremely well received. In 2017 Aline released the ‘BPM / Brazilian Pop Music’ project to expand the international reach of her sound, showcasing influences from Bossa Nova, classic MPB (Música Popular Brasileira), Electronica and Pop; with the selection of the 16 songs featuring material from her three previous albums. BPM includes the hit single “Eu, Você e Mais Ninguém” (You, Me and No One Else) which features a stunning video filmed in NY (close to 700,000 online views! ), alongside exquisite reinterpretations of hits such as Stevie Wonder’s “Ribbon in the Sky”, Lulu Santos’ “Tempos Modernos”, and Lenine’s “Jack Soul Brasileiro”. The daughter of one of Brazil’s leading TV and stage actresses, Aline was immersed in music and arts while studying at São Paulo’s prestigious ‘Casa do Teatro’ school. After graduating from college, Aline continued honing her musical skills by playing with various local bands while writing original material. In 2008, Aline released her independent debut album “Da Pá Virada”, with lead single “Básica” generating huge buzz. In 2011, Aline releases her sophomore album “Onde Tudo Faz Sentido”, which solidified her position among the new generation of MPB artists. 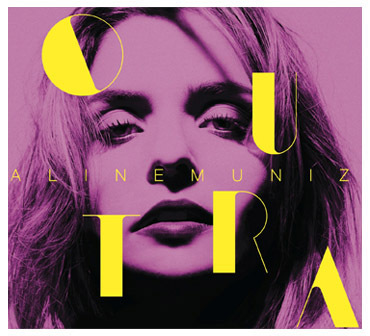 2014 marked the release of “Outra”, Aline’s third album and first with Sony Music Brasil. Several singles received strong radio airplay. In 2016 Aline relocated to New York, to live, work and focus on her international career while taking courses at NYU, Berklee College of Music and New York Film Academy. The Summer of 2017 has been an extremely productive time for Aline. First, in late May, Aline released ‘BPM / Brazilian Pop Music’ as well as the D3 Remix of the single of ‘Eu, Voce e Mais Ninguém’ distributed to over 1.000 DJ’s around the world. Aline performed at the super cool Sofar Sounds series at an innovative art gallery space in Brooklyn’s Greenpoint area. She performed to a full audience at NY’s prestigious Joe’s Pub as part of the 2017 edition of the Brasil Summerfest series. Aline was also invited to perform live on Fox TV’s ‘GOOD DAY NY’ to promote that show. In addition to that she performed to a full house at the cinematic penthouse venue of the Standard Hotel in the East Village. And, to top it all off, Aline performed at ARD Foundation’s Gala event held at NY’s Cipriani opening the night for pop star Demi Lovato’s performance and was the Talisa’s Hotel main attraction of the 2018 Vail ski opening season. 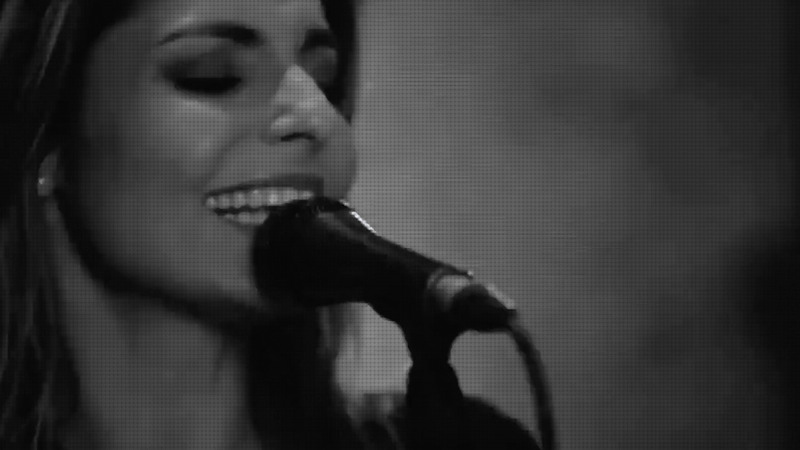 Stay tuned for the next single and video from Aline Muniz and much more!